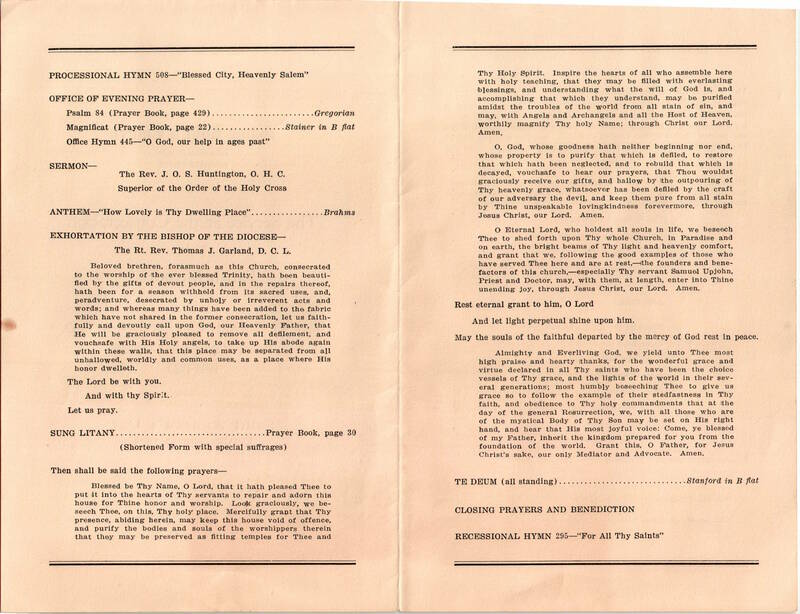 This entry was posted in St. Luke's Church (Germantown) and tagged Anglo-Catholic Parishes, Germantown, Northwest Philadelphia, Samuel Upjohn on February 13, 2019 by mjk38. 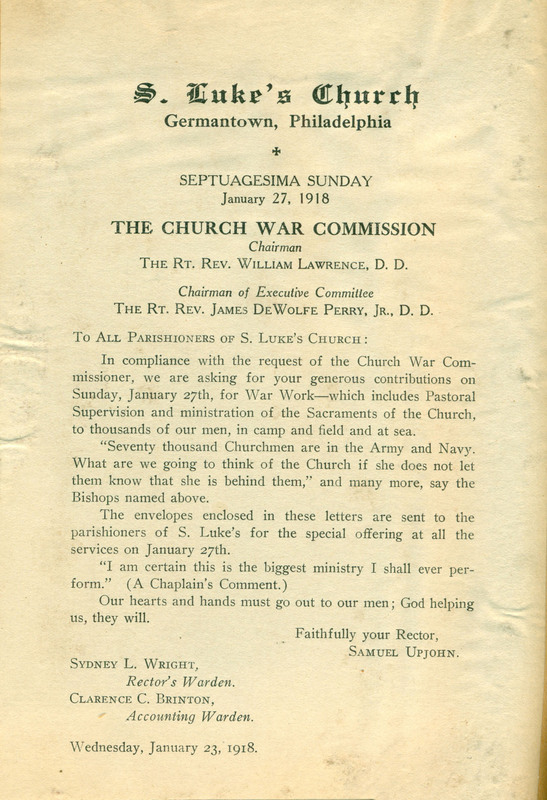 This entry was posted in St. Luke's Church (Germantown) and tagged Anglo-Catholic Parishes, Germantown, Northwest Philadelphia, Samuel Upjohn on January 23, 2019 by mjk38. 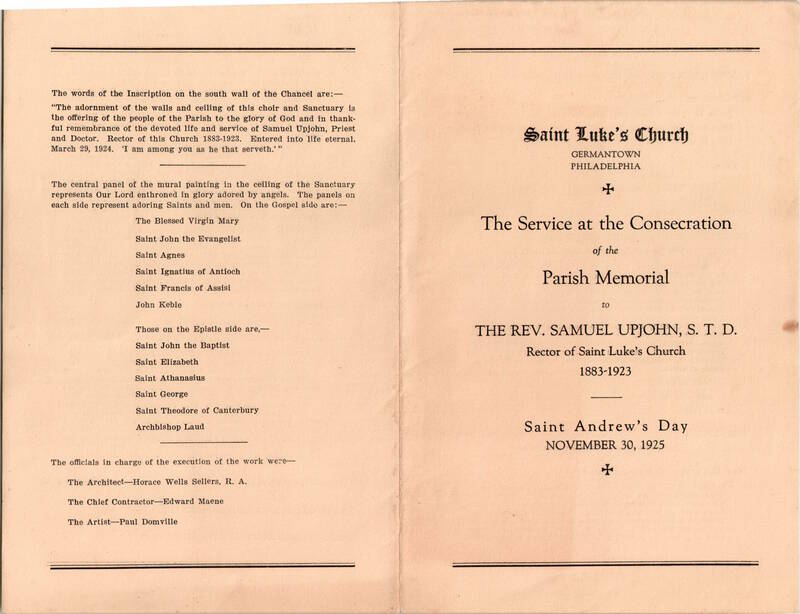 This entry was posted in St. Luke's Church (Germantown) and tagged Anglo-Catholic Parishes, Germantown, Northwest Philadelphia, Samuel Upjohn on September 3, 2018 by mjk38. 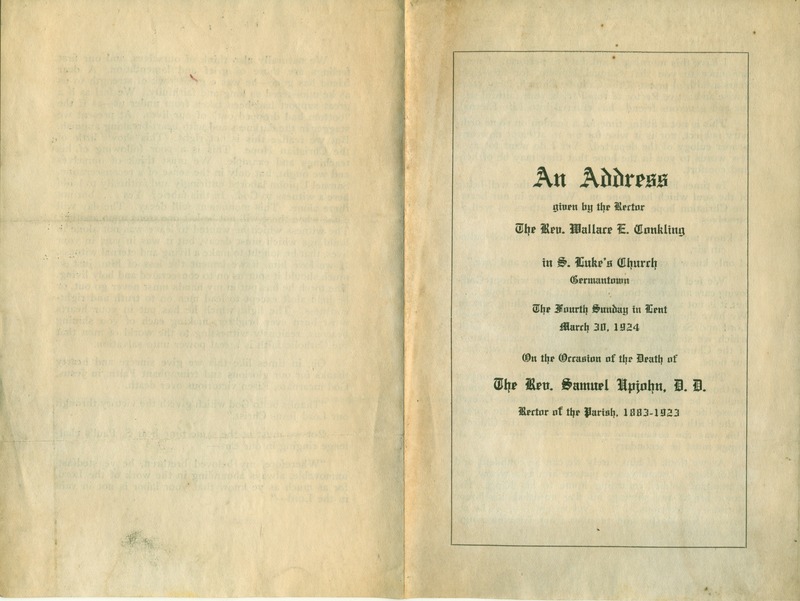 This entry was posted in St. Luke's Church (Germantown) and tagged Anglo-Catholic Parishes, Germantown, Samuel Upjohn, Wallace E. Conkling on August 25, 2018 by mjk38. 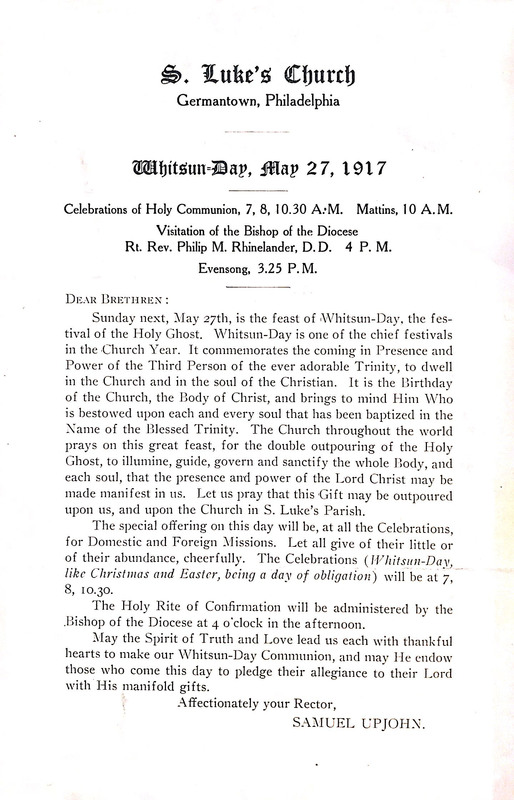 This entry was posted in St. Luke's Church (Germantown) and tagged Anglo-Catholic Parishes, Germantown, Northwest Philadelphia, Samuel Upjohn, William McKinley on August 24, 2018 by mjk38. 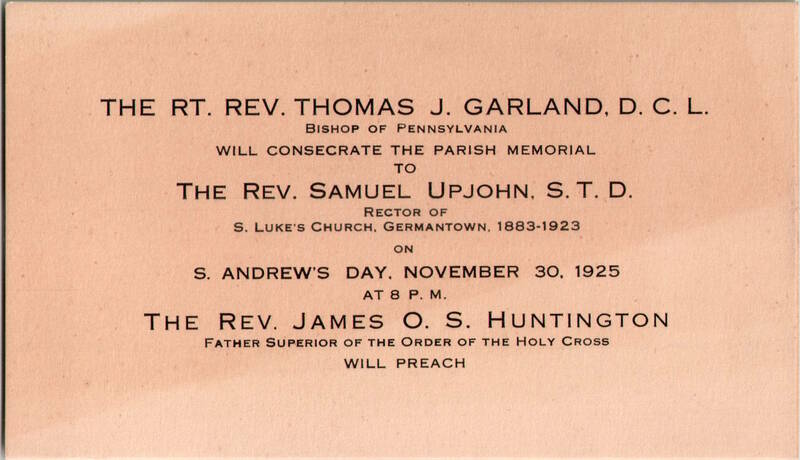 This entry was posted in St. Luke's Church (Germantown) and tagged Anglo-Catholic Parishes, Germantown, Northwest Philadelphia, Samuel Upjohn on August 14, 2018 by mjk38. 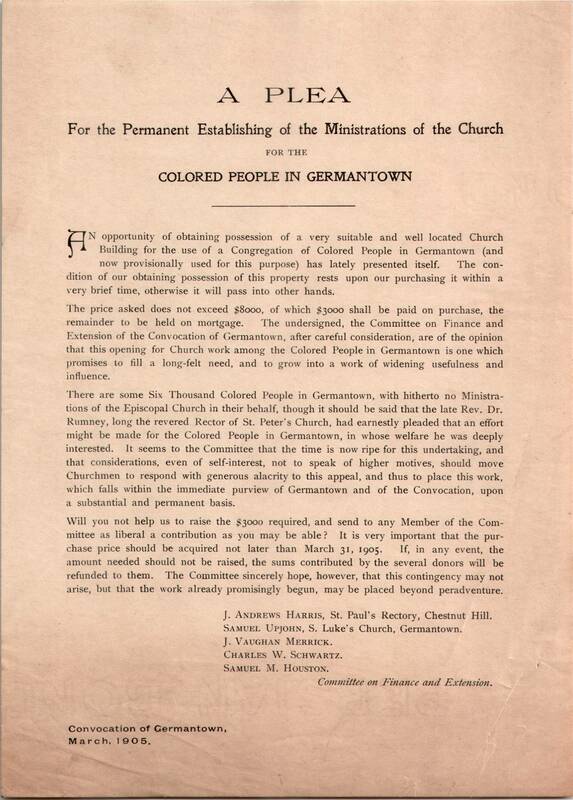 This entry was posted in St. Luke's Church (Germantown), St. Paul's Church (Chestnut Hill) and tagged African-Americans, Charles W. Schwartz, Convocation of Germantown of the Diocese of Pennsylvania, J. Andrews Harris, J. Vaughan Merrick, Samuel M. Houston, Samuel Upjohn on August 11, 2018 by mjk38. 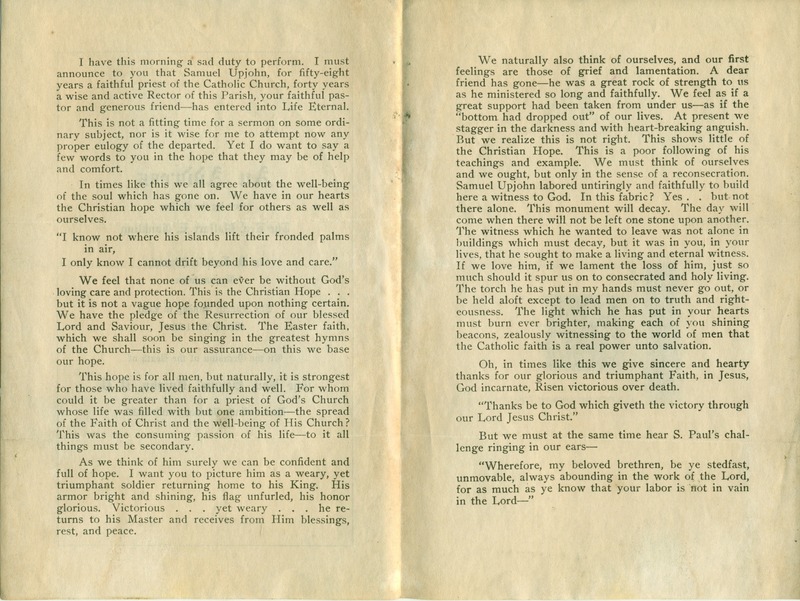 This entry was posted in St. Luke's Church (Germantown) and tagged Anglo-Catholic Parishes, Germantown, Northwest Philadelphia, Samuel Upjohn on August 8, 2018 by mjk38. 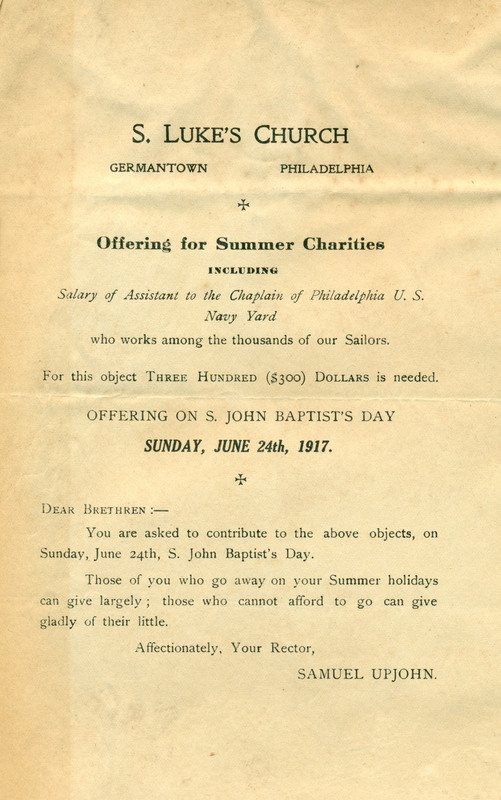 This entry was posted in St. Luke's Church (Germantown) and tagged Anglo-Catholic Parishes, Germantown, James O. S. Huntington, Northwest Philadelphia, Samuel Upjohn on August 8, 2018 by mjk38. 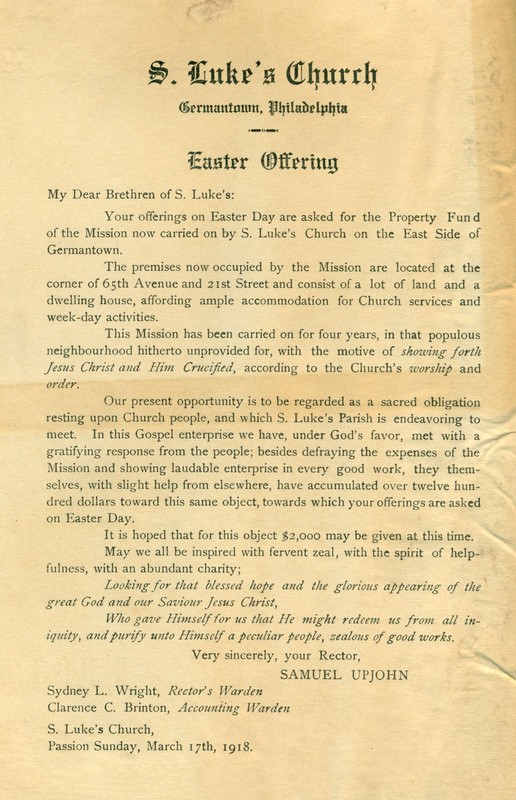 This entry was posted in St. Luke's Church (Germantown) and tagged Anglo-Catholic Parishes, Germantown, Northwest Philadelphia, Samuel Upjohn, The Evangelist Bulletin of St. Luke's Church on May 5, 2018 by mjk38.